According to a new study from an international team of researchers at IIASA, unparalleled improvements in the energy efficiency of day-to-day activities can limit global warming to 1.5 °C. The study, which was recently published in Nature Energy, revealed that significant transformations in the way humans move around, purchase and utilize appliances and devices in their cities, and heat and cool their homes, will not only help in reaching the 1.5 °C climate target set by the 2015 Paris Agreement, but will also aid in raising the living standards in the global South to fulfill UN Sustainable Development Goals. Better living standards for all need not necessarily come with increased energy demand that could impact the global environment. This is also the first-ever study to show how the 1.5 °C target set by the 2015 Paris Agreement can be achieved without depending on untested technologies. For example, bioenergy with carbon capture and storage (CCS) is one such technology that removes atmospheric carbon dioxide and buries it. A rapid down-sizing of the global energy system between now and 2050 makes it much more feasible to transition away from fossil fuels and towards renewables and electricity to provide for development needs while limiting the impacts of climate change." The researchers studied many different kinds of innovations at the frontiers of current markets. But if these innovations become mainstream, they could significantly reduce emissions. Building upon the comprehensive studies of energy employed in homes, offices, and transport, as well as in the production of consumer goods, the team observed that there were 2 to 4 times reductions in the amount of energy needed to provide comfort in buildings, to move goods and people around, and to address the material needs of increasing populations, especially in the global South. 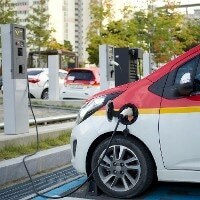 The researchers identified several significant innovations; for instance, by 2050, global energy demand for transport can be reduced by as much as 60% through 'on-demand' and shared fleets of more energy-efficient electric vehicles with increased occupancy. This will also reduce the number of vehicles seen on the road. By 2050, smartphones and other single digital devices that serve a variety of functions, together with younger generations' penchant for accessing services rather than owning goods can restrict the otherwise volatile growth in global energy demand to just 15% for a digital economy with more than double the number of devices than are being used today. By 2050, energy demand for heating and cooling can be reduced by 75% through renovations of existing buildings and by establishing rigorous standards for the energy performance of new buildings. Moreover, emissions from agriculture can be considerably reduced by shifting to a healthier diet that includes less red meat but analogous calorific intake. This will simultaneously increase land or forest cover by 2050 that is equal to the size of Bangladesh and Italy combined. Changes in the ways that we as the final users of energy go about our daily lives have knock-on effects on the ways that goods are manufactured and transported around, offices and malls are built, and food is grown. It is us as energy users who ultimately define the potential for transforming our energy system to meet climate targets." The researchers also discovered that by reducing the overall global energy demand by 40% by 2050, with a high emphasis on electrification, the existing rates of renewable energy deployment projected in the coming days could easily meet the global energy requirements without having to depend on untested technologies like CCS for capturing and storing greenhouse gas emissions released from burning plant matter or fossil fuels. The researchers emphasize that this scenario can become a reality only if policymakers make unparalleled efforts to tighten standards, businesses develop and launch low-carbon innovations, and households and individuals integrate new forms of activity into their everyday lives. The global community from world leaders and multinational corporations down to individual consumers and citizens need to act in concert to avoid dangerous climate change while improving human well-being. Our scenario offers a roadmap as to how this can be achieved."